Da Capo Lifelong Books, 9780738218168, 256pp. 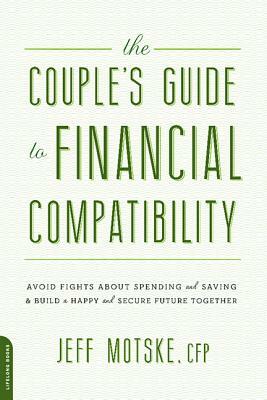 Financial problems exact a toll on any couple. Long before you realize you are living well beyond your means, the burden of debt wreaks havoc in your life. Invariably, a basic lack of communication about money is to blame. This is where Certified Financial Planner Jeff Motske saves the day. Motske's financial services firm has helped tens of thousands of couples nationwide find happiness in love and money. How do we align our goals and expectations? What do we need to discuss as a couple before we begin investing? What if one of us loses our job? What's the best way to teach our kids about money? What's the best way to get our kids through college? How do we take care of our kids and our parents at the same time? Do we have enough money saved up to retire? Jeff Motske founded Trilogy Financial in 1999 to combine the areas of financial, estate, and tax planning all under one roof. In just over a decade, Trilogy has grown with more than 200 employees working in 11 offices in 4 states and handling more than 2 billion in client-invested assets. Motske lives with his family in Orange County, California.